Drew Bernstein interviews long-time China expert James McGregor, the author of One Billion Customers - Lessons from the Frontlines of Doing Business in China, on the challenges that multinationals face doing business in China today and the state of U.S.-China trade relations. Currently the Chairman of APCO Worldwide, Greater China, McGregor has spent three decades in the region as a journalist, venture investor, author, and now public affairs consultant to major corporations with operations in China. Your first book, One Billion Customers, which came out back in 2005, was very popular airplane reading for CEOs on their way to China, and it really captured the excitement of that period in the early and mid-2000s. Looking back at it, what do you think you got right, and was there anything that you missed? That's an interesting question. That book was written to last for a long time, because I described the behaviors between foreign companies and Chinese business people. And that endures. I keyed off a book written in the 1930s called 400 Million Customers, which actually is still pretty relevant even today. What has changed since then is the power relationship between the two sides. In those days, China was in dire need of foreign investment and foreign expertise — capital and know-how. That gave foreign companies more power. They were able to push back stronger on things that didn't work for them. Even multinationals that weren't all that capable could make money in China. Today, it's a different story. China has a lot of powerful domestic companies. It's got a very big and fast growing market that people are very attracted to. So now China's able to have its way. It has got more leverage to influence the multinationals to do what China wants — such as engaging in forced technology transfer and joint ventures. Also, China's doing a lot of acquisitions. It's getting harder and harder for China because of the pushback from many governments in the West — the U.S., Germany and others — but China is actively looking to buy technology and market access. So, the book still rings true on how people behave with each other, but the power dynamics have changed. You initially came to China as a journalist. How has that initial experience informed your perspective on the country? I moved to Taiwan in 1987. I was there for the whole democracy movement and was able to see a Chinese society transform to democratic norms. Also, when I came to the mainland, I could discern between what was Communist and what was just traditional Chinese culture. Because there is a bit of a blend and overlap between the two. I think having the background as a journalist is very lucky, because it allowed me to look at the country deeply and widely and travel around and get to know the place. Unlike most foreign business people who come here and often live a narrow existence. Even as a consultant today, I act a lot like a journalist. I've got young people on my team. We go out and gather a lot of information. We write reports for clients, and we give clients strategic advice. I still talk to everybody, read everything, and love to gather information. So, that journalistic background has defined the way I do business. You also had a spell where you were Managing Director at a venture fund focused on China. What were the lessons learned from that stint? Probably the major lesson is I'm not born for venture capital. I'm not greedy enough. I did it for a couple of years and then NASDAQ melted down, and the investing firm decided to pull out. I got a nice year of severance and could play golf. To be serious about it, I got to know the venture capital and private equity world, how those people think, and just how important it is to the growth of China. I got to know the industry, but I also realized I wouldn't be any good at it. I'm actually not that interested in money. You also served as the Chair of the American Chamber of Commerce in China for a number of years. What were the most important issues you were focused on while leading that organization? The same issues as today. It was 1996 and Charlene Barshefsky had just been pushing actions based on Section 301 of the Trade Act, which Trump is using today. She was pushing on intellectual property protection and also on market access. It was the exact same issues as today, only the problems were on a much smaller scale. I've stayed very active with the American Chamber ever since. I was on the Board for about 10 years. Now I'm just a “senior agitator” or something. I'm still quite active with AmCham, in U.S.-China relations, and helping form our messaging and our strategy when we interface with Washington. In fact, we're heading there in early May. We usually meet with about 50 congressional offices, officials up and down the Administration, and the White House. They listen to us because we're on the ground here and we have firsthand knowledge and very clear views on what's really going on. But we're also from the business community. The dilemma of "How do you protect the long-term interests of the American business community without killing the short-term market share and profits?" is always the contradiction that leads to a lot of angst. When the global financial crisis happened, China said: "Well, wait a second. Our model works. The China model is better than the West." How has the business environment for multinationals or American companies changed under Xi Jinping, and where do you see it headed in the next few years? Well, it's profoundly different here now. Xi Jinping has been a big part of it. But really, this goes back to the global financial crisis. When the global financial crisis happened, China said: "Well, wait a second. Our model works. The China model is better than the West. We've gotten through the Asian financial crisis, and we're going to get through this. We didn't open up our current account as the IMF was telling us to do. We've kept a lot of controls and it's working." It really was a shift of attitude. Before that, you would have fairly low-voltage Congressmen and others come in and shake their finger at Chinese officials and say, "You should do this. You should do that." These Chinese officials were quite smart and educated, and would kind of bite their tongue and say, "Thank you for your wisdom." Then they'd probably go in the other room and scream. After the global financial crisis, they turned around and said, "No. We're not listening to your crap anymore. You'll listen to us." It really was a change of attitude. And it got very harsh very quickly. Then they eventually toned that down a bit, because they realized they were alienating people. Under Xi, it's changed very much. Xi is pushing a zero-sum game. It's all about China being a victim. The line is: "We're almost to the age of rejuvenation, but the West wants us to stay poor. They're trying to keep us down." He tries to rally his people behind a negative, because when he came into office, the place was a mess and corruption was off the charts. He had to rally people behind something. Now, it's really an "us-versus-them" game. It’s been a big change for multinationals. Many tech companies have bigger businesses in China than they have in America. They are stuck in the middle of this conflict, so it's a very stressful situation. Never before in world history has there been an authoritarian capitalist state as a major power. It's a new phenomenon facing the West that we have a government that is this authoritarian as well as so powerful and so rich. Never before in world history has there been an authoritarian capitalist state as a major power. It's a new phenomenon facing the West that we have a government that is this authoritarian as well as so powerful and so rich. That kind of leads into my question about your second book, No Ancient Wisdom, No Followers – The Challenges of Chinese Authoritarian Capitalism, which came out in 2012. You were a lot more skeptical that this statist, investment-driven model could take China's economy forward to the next level. Since you published that book debt-to-GDP levels have continued to soar. And yet China's economy appears to have avoided a major financial crisis. Has your analysis changed? That book was really aimed at analyzing state-owned enterprises, and I don't think anything has changed there. SOEs have a negative return on assets. They're big, but they're not all that smart and they're not all that capable. But SOEs do bring political and economic power to the state and to the party, and they very much want to hold on to that. Xi and Li Keqiang have said: "Okay, we're going to consolidate the position of state-owned enterprises and we're going to make sure they are a very core part of the economy." That's damaging, and if the leadership continues down this road it's going to be even more damaging. What's different is that they are also empowering the entrepreneurial side of China. The leadership realizes that China’s entrepreneurs and venture capital have abundant talent and energy. So, they say, "Let's enable them and let's encourage them." The big question is, "Can China innovate?" You're damn right, China can innovate. Because a lot of these brilliant young people went to MIT and Carnegie Mellon and good universities in China. They have worked for Hewlett Packard, Microsoft, Google, you name it. Those people now can get ample venture capital money in China, and they get a lot of runway when they start companies. One of the reasons China's so good in technology these days is because the IPR rules are so weak. Entrepreneurs know they're going to get ripped off tomorrow, so they're always innovating to stay alive today. That makes for very quick, fast moving companies. China's proven to be very innovative in business models. Maybe not in inventing core technology, but the mantra is: "Let other people invent it, and then we make money off it and turn it into incredible business models.” It's very interesting. Can you tell us a little bit about your role at APCO and the types of challenges that clients might typically engage in? We're a company based out of Washington, D.C., so our core competency is really public affairs, public policy, helping build strategies around your business and the governments you deal with. In China, the party and government have their fingers in everything. We have worked with the Who’s Who of multinationals — currently lots of technology companies — helping them understand the government here, understand policy changes, stay on top of it. We help them work their way through these issues, because many of them are in a very difficult position. On the other hand, China has a very smart bureaucracy. These officials also have a lot of tough problems to solve. If multinationals can help China solve its problems in ways that also help the multinationals, that can work well for both sides. For example, these days there is no shortage of policies coming from security officials that are loaded with with very scary and protective things. If those policies actually go into action, they're going to hurt China’s economy in a big way. But companies also have the opportunity to educate the government ecosystem on a better way forward for China. And often that can result in opening up more room to maneuver for the multinationals. What we do is never boring, I can tell you that. Given the increased trade tensions over the last year or so, do you see multinational clients rethinking their China supply chain and looking to diversify to other regions? Very much so. It's quite interesting. There are more than a few Fortune 1,000 companies that are doubling down on China. Those companies are in areas like coatings, chemicals, and components, all kinds of processes and products for the high-end manufacturing industries. They know that China's going to continue to be a manufacturing center of the world, and it's probably going to lead the world in electric cars, self-driving cars, the Internet of things, whatever. Those companies are already here in a big way, and they're just embedding themselves deeper in China. They're buying Chinese companies. They're partnering. And they're acquiring technology here. They want to limit their products crossing borders, because they see these tariffs as something that could continue, and they want to avoid that. Even if tariffs go away now, they may come back, because that policy tool has proved effective in getting the Chinese government's attention. On the other hand, there are companies that manufacture and sell primarily outside of China and source from here. Many of them are moving to Vietnam, Indonesia, Philippines, and even to Mexico. But you have to remember, Vietnam is the same size as a single Chinese province. It doesn't have the incredible infrastructure and supply chains, or a workforce that is well-trained as the Chinese. This is going to take time. But there is a lot of realignment going on. What kind of barriers do American companies face as they try and go take a piece of the one billion potential customers? Has that been changing at all? China always made it easier for foreign companies to come in and manufacture in China for export. Everything from building villas, international schools, and golf courses to world-class logistics to training the Chinese workforce, all the way to offering tax incentives and cheap land and cheap utilities and all of that. That's why so many jobs left America so quickly and came here. The American consumers got cheap products, and that actually kept inflation down. By contrast, getting into and penetrating the China market has never, ever been easy. There were times companies could do well because China simply couldn't do it on its own. They needed the foreign expertise and foreign capital. That's what China does. They open the door to a sector when they need help from the foreigners. But once they've got the capability domestically, they squeeze the foreigners out. That's just the way it works here. That's one of the reasons we've got this whole trade battle going on, because the world is sick of that pattern of behavior. Do you believe the current trade talks have any shot at really removing those structural barriers to accessing the Chinese market in sectors that China cares about? What really happened is that the resentment and anger that has been building and boiling in the foreign business community for the last five years, if not the last decade, finally boiled over. Deng Xiaoping had his “Reform and Opening” campaign. But in the past decade it has been “Reform and Closing,” where they're reforming for Chinese companies and step-by-step closing the markets to foreign companies where they could do it themselves. That caused a lot of resentment and unhappiness. But companies could still make decent money here. The executives would go to Washington and they complain about what China's doing. Then the government would say, "Okay, what should we do?" The companies go, "Uhm. Don't do anything. I can't make China unhappy. I don't want to risk retaliation and lose my market access." If the government and Communist Party think you're pushing back on them too hard, you're going to have a dawn raid from the Pricing Bureau, the Anti-Trust Bureau, the Sanitary Bureau, and the State media will be all over it. Multinationals have been at once entranced by the potential of the China market, and also deeply scared of the Chinese government. But eventually the American business community turned against China because the government was just too relentless in the avarice they presented. Now with Trump coming in, many people here in the American business community are not impressed by him, but they welcome the US government pushback. But there's real fear on where this will end up. Robert Lighthizer is a very capable trade negotiator, knows what he's doing. But the President, well, you never know what the hell he's going to do on a given day. Then you've got Steven Mnuchin and Larry Kudlow, who basically just want a quick deal and the markets to settle down. The Chinese know that there’s this tension within the Administration, and they're able to sit back and watch that play itself out. At the end of the day, what the U.S. is asking China to do is, "Change your system." Good luck with that one. You're not going to get China to change the system by telling them that we're so powerful you better change. Because we're not. You need to incentivize China to change their system. And there's several ways to do that. One way, which the President destroyed his first week in office was TPP. The Trans-Pacific Partnership would have blocked China from a trading group with 40% of the world's GDP. It reduced 18,000 tariffs for American goods and services going into Asia. And China was blocked from being part of that deal. That would have incentivized China to change, to become part of TPP. The reformers in Beijing were very excited with TPP. They believed it could lead to China resuming reform and opening. Then, we cut our own throats by pulling out. My view on TPP is rename it the Trump Pacific-Partnership, let him take credit for it, but it's still TPP. That’s our best shot at containing China and having leverage to get them to open up markets. We also have to look at “Made in China 2025” plan and that whole technology policy that's very threatening. We need to do what we can to block it from being successful. That means blocking acquisitions where there's critical technologies, placing very strict export controls on technology, and working with our allies in a coordinated way. We have to focus on protecting American economic security. Do you think the trade tensions has changed the attitudes of Chinese CEOs towards building a global presence, made them more inward-focused? The Chinese private business community is just about as unhappy as the foreigners. This turn-back towards state enterprise and tightening of regulations has really hit them. They are unable to get loans, because they used to get their loans out of the shadow banking sector, which the government is now taking away from them. The government tells the banks to give money to small enterprise, but they're not making any loans because they don't have the guarantees. They are state entities that don't want to make any mistakes. The private companies want to go global, but they are often being blocked from global ambition because of the protectionism in China. A lot of them are very worried about the future of this country. Many of them are doing what they can to get their families and some of their assets offshore. 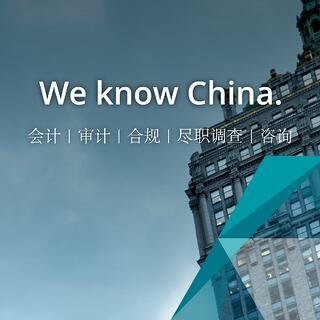 When China buys a foreign technology company, that company is now a Chinese company. In China, it's got access to all the money it wants. It's got all the facilities it wants. It's got regulators who will ease the market entry for it in China, and eventually block their foreign competitors here. You mentioned the Made in China 2025 policy, and that certainly is a source of anxiety for elements within the Trump Administration. In your view, how effective is state-led innovation in these sectors like robotics, green energy, and EV really been? Well, it's not really state-led innovation — it's state protectionism. China's always been playing technology catch up, whether it was Mao's plan with the Soviets in 1956 that led to two bombs and a satellite, the hydrogen bomb and the atom bomb and the 1970 East is Red satellite. Remember, the people that built these bombs and launched China’s first satellite were Chinese scientists who were pushed out of America by McCarthyism. So, we better be careful about scaring Chinese scientific talent out of America again due to these US-China tensions and our regressive visa policies. Deng Xiaoping made science and technology one of the four modernizations and put responsibility for related policies right in the hands of the Premier. Hu and Wen come into office and they do Indigenous Innovation, which calls on Chinese companies to do re-innovation and co-innovation to master their foreign partners' technology, and then to go beat them globally. Well, that woke up the foreign business community. Then China came up with Strategic Emerging Industries. "Let's go after the industries of the future or the ones that are not fully developed, and then we'll have a chance, and we're not just trying to push somebody else out of business." But they ended up throwing dump truck loads of money into state entities, state research institutes, whatever. The game became, "How do we get money from the government?" Not, "How do we accomplish something?" Made in China 2025 is actually a much smarter plan because it brings in entrepreneurs and venture capital and acquisitions. And it's aimed at high-end manufacturing. So, it's quite focused on important sectors. The problems with acquisitions is this. When China buys a foreign technology company, that company is now a Chinese company. In China, it's got access to all the money it wants. It's got all the facilities it wants. It's got regulators who will ease the market entry for it in China, and eventually block their foreign competitors here. So foreign companies in that same sector in China will be knocked right out of this market. And if you can't make it in China, you're not going to make it globally due to the size of this market. That's why it's looked at as an existential threat by so many companies. My father had a saying, "Anything worth doing is worth overdoing." That could be the slogan of the Communist Party planners. They just can't help but overdo it. China's completely capable of building a very strong tech sector if they would trust their entrepreneurs and venture capitalists and just let it happen, and let them compete fairly with foreign companies. Attitudes have really turned. I can tell you that even the foreign company CEOs who come to China with smiles on their faces, when they're back in the boardroom, they're saying, "These guys don't want us to be successful. We've got to protect ourselves." The only bipartisan point of agreement in Washington, D.C., today is that, "China's a bad guy." Boy, it took a lot of work by China to turn the American business community against China. Currently, the outlook for China's economy is very divided. Some people look at auto sales and housing starts, and they say, "Hey, look, we already have a recession underway in China, and that's the story for 2019." Other people say, "Government stimulus is coming. There's going to be a new infrastructure spending boom. They're going to pull this rabbit out of a hat one more time." What are you seeing and hearing? We should treat this as a Sputnik moment and realize we need to compete. Anybody that gets a PhD in the hard sciences at an American university should have a green card stapled to their diploma. We need to put money into science and technology. We need to invest in infrastructure. We need to just wake up and compete and quit whining. I think the auto sector is an anomaly. Yes, things are slowing down here, but they're going from a sprint to maybe a mild run. Maybe someday this place will have a real sharp downturn, and those of us who live here may be the last to see it. The greatest danger, and I think this is where Trump has got them rattled, is growth. China has problems. But it's always been able to grow out of its problems. China can do stimulus and they can add more debt on. They can do that for a number of years. But it's just going to exacerbate their problems over time. I don't see China’s economy headed anywhere too badly in the near-term. But they have to keep working on their underlying problems so that it doesn't turn it into something serious in the long-term. You have to remember there are demographic issues here — the aging population and the demands of the people. If you're under 45, all you have ever known is exponential growth. You've got very high expectations. And a government that picks itself runs scared of its own population. If you get in the way of the Party, you'll be crushed. But generally, these Party guys get up every morning and say, "How do we stay out ahead of our people?" In some ways, this is a very performance-oriented government, because they're scared of their own people. The Communist Party in some ways is a superannuated Chamber of Commerce. If you're running a big Chinese company in the city, that Party Secretary's going to come to you with his team. They're going to have lunch or dinner with you. And they're going to say, "Okay, what do you need? What do you need for transportation? What do you need for logistics? What do you need for training?" Because the job of that Party Secretary's to help build the businesses and create jobs in their jurisdiction. I wish the U.S. government was a little more active in these kinds of issues, because we have to realize that the free market doesn't solve all things. Our economy was built with the help of industrial policy and planning and government assistance. So bottom line, the way that America should deal with China is we should treat this as a Sputnik moment and realize we need to compete. Anybody that gets a PhD in the hard sciences at an American university should have a green card stapled to their diploma. We need to put money into science and technology. We need to invest in infrastructure. We need to just wake up and compete and quit whining. I think that's a great place to end the interview. This has been a great overview of what's on the minds of the CEOs of companies trying to do business in China. Thanks so much for your time and your very unique expertise.